Alice L. Bohannon, b. Mar 16, 1867 in Burlson, AL, died ?, was married to James Thomas (Tee) Hall, b. Dec. 20, 1866 in Itawamba Co., MS, m. Nov. 25, 1999 in Franklin, Monroe Co., AL, d. Dec. 1915 or Jan 5, 1914 in Burnsville, MS, buried at Whitehurst Cem., MS.
Alice: dau. of: Bohannon, Louis Alexander, b. May 9, 1845 in Henry Co., GA, d. May 30, 1928 in Maud, Seminole Co., OK, buried at Woff Cem., Seminole Co. OK., m. Mary Ann Grant, on Aug. 6, 1865, b.Nov. 16, 1846, GA, d. Jun 30, 1900 in Burlson, AL. Eli: son of: Bohannon, Beverly B., b. 1798 in Wilkes Co. NC, d. bef. 1860 in Newton, Baker Co. GA.m. ?, Rachael, b. 1801, SC, d. bef. 1860 in Newton, Baker Co. GA. m.? Annis Boudinot, who became the wife of Richard Stockton, one of the most prominent young lawyers of New Jersey in 1762, was a woman of far more than ordinary intellectual ability and of a high character and patriotic spirit that made her a fitting companion for the man whose devotion to the cause of independ-ence brought him to his death before his time. She was of French Huguenot descent, her family having come to America soon after the Revocation of the Edict of Nantes in 1686. Her father, Elias Boudinot, was for a time a silversmith in Princeton and her brother, who bore the same name as their father, studied law in the office of Richard Stockton and married his sister, Hannah Stockton. Richard Stockton was highly successful in the practice of his profession and had added mate-rially to the large estate he inherited from his father, when he married Annis Boudinot and took her to “Morven,” his handsome Colonial home, near Princeton. 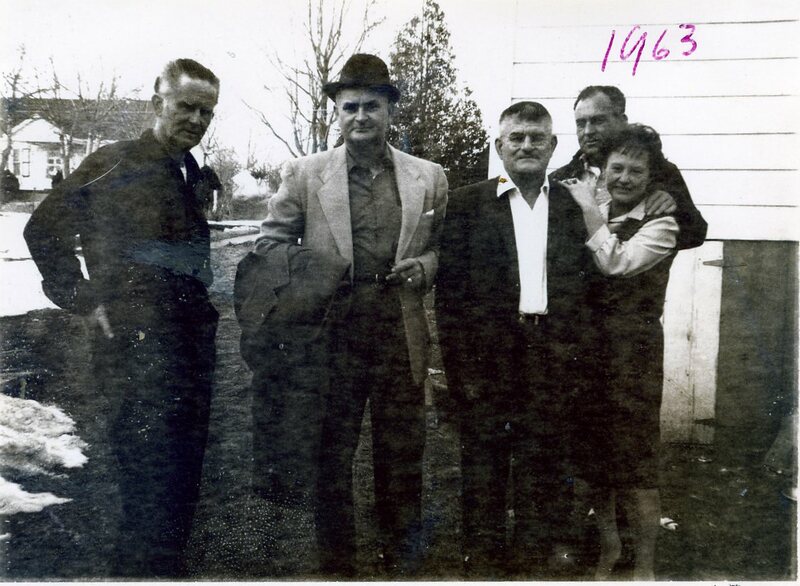 “Morven” was known for its hospitality and as a gathering place for some of the brightest minds of the day. 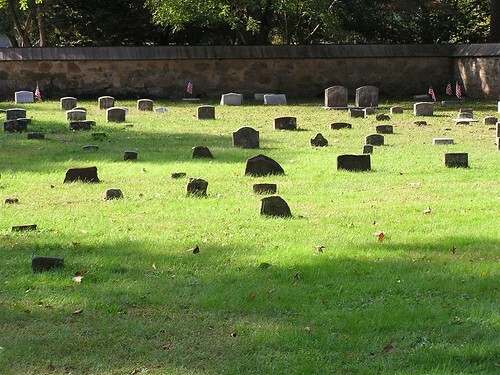 They were living here, when Mr. Stockton was elected a delegate to the Continental Congress, and it was here that she performed a service which was made historic. 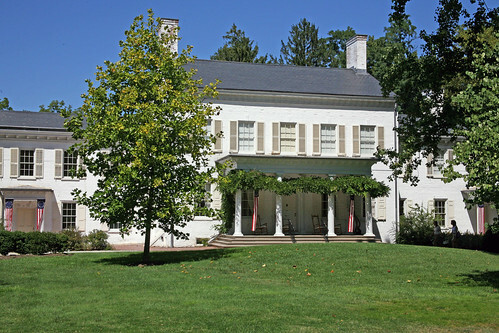 When the British under Cornwallis came to Princeton in 1776, Mrs. Stockton secured and secreted a number of important state papers as well as the rolls and records of the American Whig Society of Prince-ton College, an act for which her name was added as an honorary member of the Society. Congress was then sitting in Baltimore and Mr. Stockton hastened home to conduct his family to a place of safety. He hurried them out of Princeton to Monmouth County, about thirty miles away, and then returning, went to spend the night with a friend, a patriot named Cowenhoven. That night a party of Tories came and arrested the two men. They were dragged from their bed at a late hour and half clad carried away and thrown into prison. Mr. Stockton was first taken to Amboy where he was confined in the common jail, suffering greatly from the cold. From there he was carried to the prison in New York, where he was most inhumanly treated. All the comforts and many of the necessities of life were withheld from him, notwithstanding the delicate condition of his health, and his high and honorable standing as a man. At one time he was left for twenty-four hours without food and then supplied only with the coarsest and not enough of that. Through the efforts of Mrs. Stockton, Congress was informed of these facts, and General Howe was given to understand that unless Mr. Stockton received better treatment in the future, retaliation would be taken on British prisoners. His condition was somewhat improved after that, but it was too late. The seeds had been sown of the dis-ease that was eventually to carry him to his grave. The British plundered his beautiful home, burned his splendid library and papers, and drove off his stock, much of which was blooded and highly valuable. The devastation of his estate, especially all that portion that could in any way be productive, taken together with the depreciation in value of the Continental cur-rency, so embarrassed Mr. Stockton financially that he was obliged to apply to friends for temporary assistance in order to supply his family with the necessaries of life. This caused a depression of spirits from which he never rallied and hastened the ravages of the disease that brought him to an untimely death in 178I, in the fifty-first year of his age. 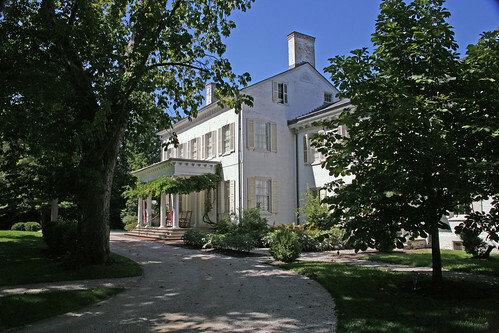 Mrs. Stockton, who was three years younger than her husband, continued to live at “Morven” until her son Richard was married, when she relinquished her home to him and took up her residence in a house at the comer of Washington and Nassau streets, Princeton. 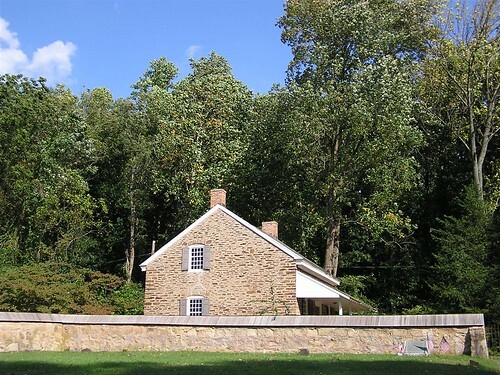 Her youngest daughter, Abigail, lived with her until her own marriage to Robert Field of Whitehill, Burlington County, a brother of the wife of her brother Richard. 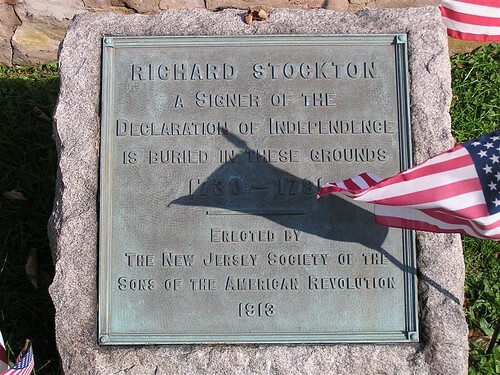 Richard Stockton left two sons and four daughters. Richard, the eldest son, born April 17, 1764, became one of the most eminent lawyers of the day. He left a number of children of whom the late Robert P. Stockton was one. The other son was Lucius Horatio, who also became a prominent lawyer and was appointed Secretary of War in 1801, by President Adams. Richard Stockton’s eldest daughter, Julia, mar-ried Dr. Benjamin Rush of Philadelphia, also a signer of the Declaration of Independence. Susan Stockton, the second daughter married Alexander Cutbert of Canada. Mary married Rev. Andrew Hunter, D.D., who was a chaplain in the Con-tinental Army and a professor in Princeton. Annis Boudinot was well known throughout the Revolution for her patriotic verse. One of her poems drew a courtly acknowledgment from General Washington to whom it was addressed. Another, Welcome, Mighty Chief, Once More! was sung by the young women of Trenton while Washington was passing through Princeton on his way to his first inauguration. And stop a moment thy triumphal car? Unskilled to paint the horrid wrack of war? Unpurified at Virtue’s awful shrine? The motive only stamps the deed divine. Declaration of Independence and his wife Annis was an accomplished poet.